PoolKronos 50 has the broadest range of measurement of the PoolKronos range. Also a proportional dosing system that features a stepper motor for increased precision and quietness. It comes with a bigger 16 letter lCD display. 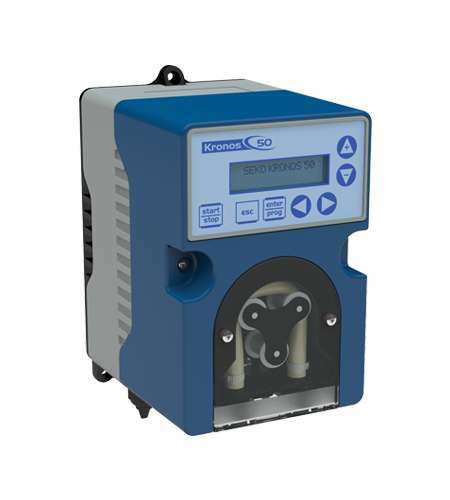 As with the rest of the PoolKronos products, it uses built in controllers for pH/ORP analysis. Similarly it is extremely flexible in terms of installation, user-friendly for programming and offers proportional chemical dosing by pH or ORP analysis and comes with high grade durable ABS materials.